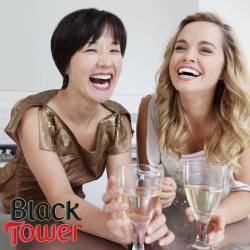 Black Tower Wine targeting women at home in bed. It’s International Happiness Day and we want to spread a little happiness ourselves 😀We’ll be selecting two of you lucky wine lovers at random to win a case of wine each to share with your fave people. For full t’s and c’s please see the Notes section of our Facebook page. Next PostNext Veuve Clicquot very expensive alcohol.